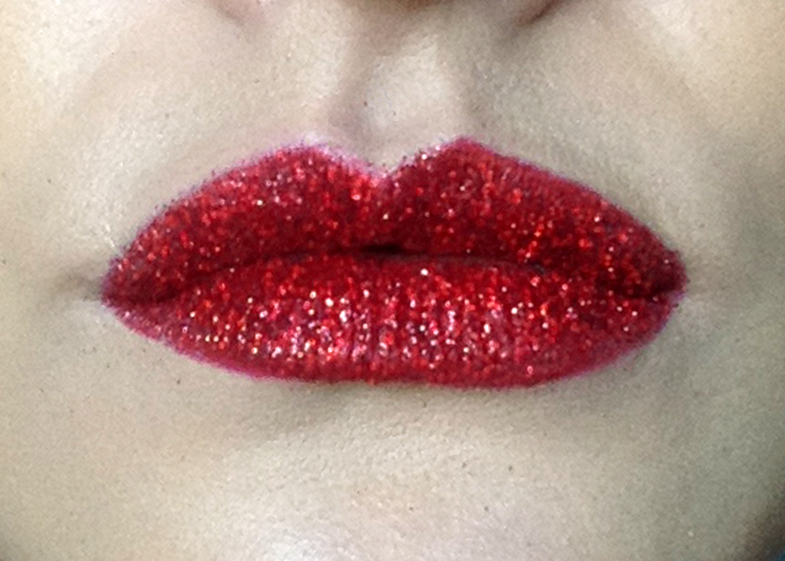 The new Christmas Party Makeup trend,Glitter Lips! Hi everyone, I’m super excited about writing my first ever BLOG! I know i’m a late arrival, but better late than never (as they say) :-). When having your own business you have to keep up with competition by looking for new ideas, products, trends, especially when you work in Makeup and Beauty as it changes so rapidly. So I dragged my reluctant partner Mark to this years Pro Beauty Show in Manchester a few weeks back. The last time I went to a beauty show was when I had to work so it was a relief to be able to browse round freely. There was nothing really catching my eye until I came to a point where we literally couldn’t move because of the hustle and bustle! 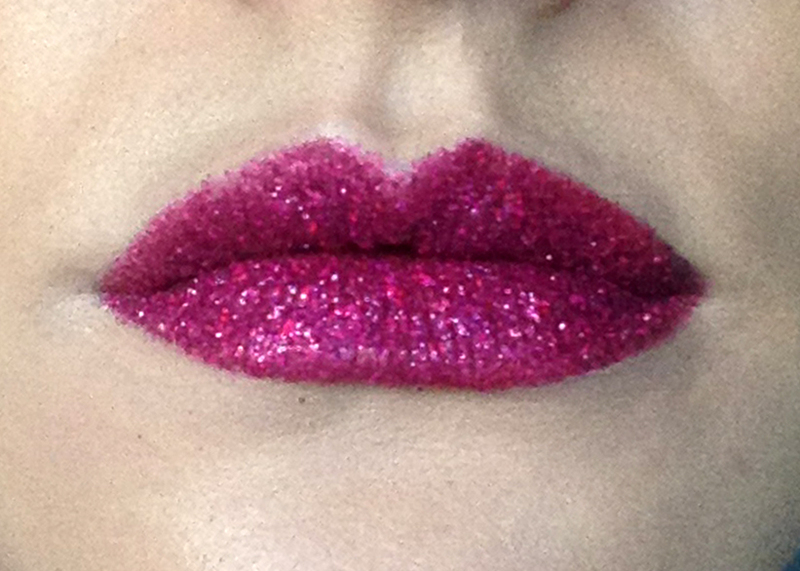 The frantic display was at the Glitter Lips by Beauty Boulevard stand. 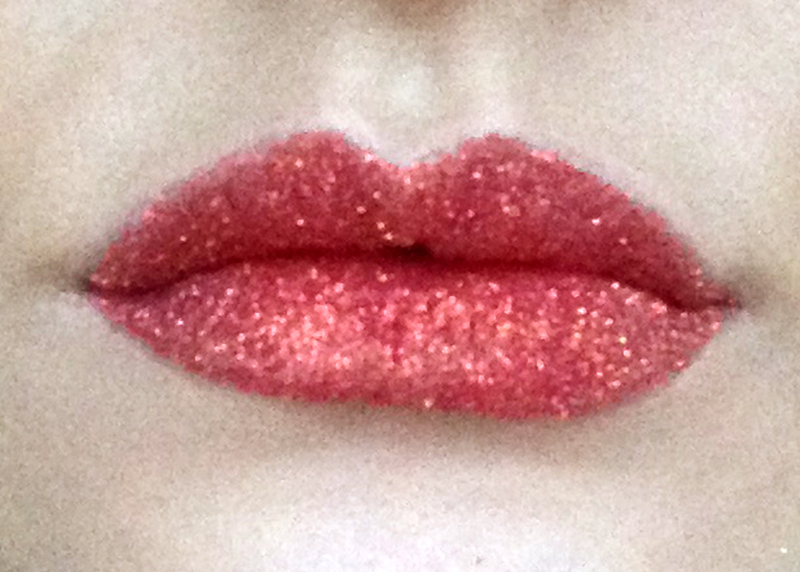 I was watching while one girl was having it applied and the effect it gave to her lips and whole face was stunning. It was really eye catching and I kept seeing people walk past with it on in all different colours. So yes I had to buy some, it would be perfect for my Christmas Party Makeovers. So how does it work? Firstly you apply the the lipgloss bond to clean, dry lips and wait for it to turn from white to clear. 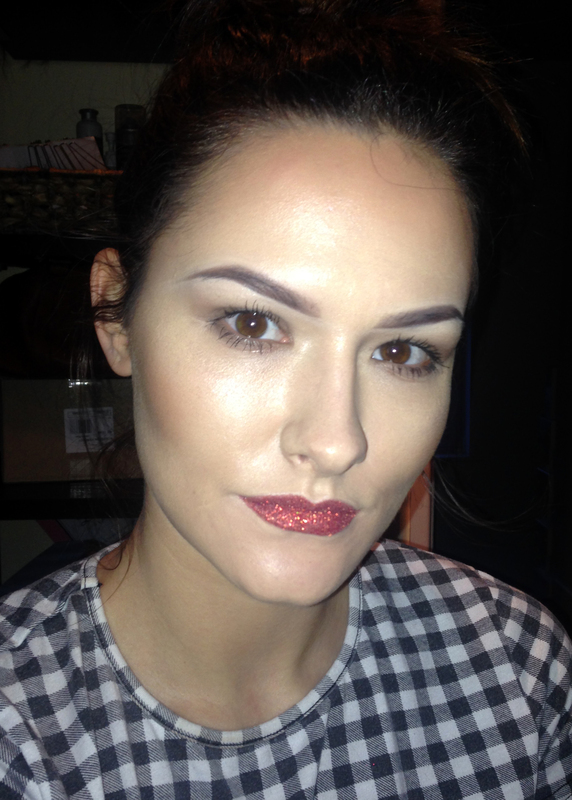 Then with the eyeshadow pad you dab the glitter over. 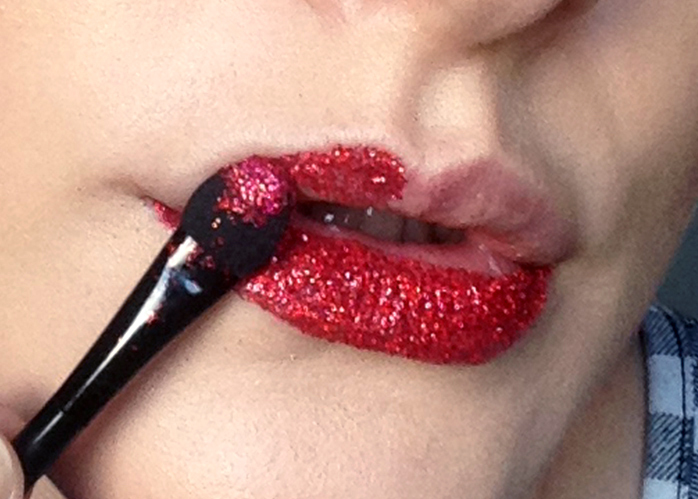 The more glitter you use the better and then you brush away any excess glitter. It sounds easier than in practice. What I found is it’s better to apply this to the lips before the foundation and to use a similar colour lipliner. This way you get a much more precise application and sharper finish and no re-doing of foundation if some glitter ends up where it shouldn’t. 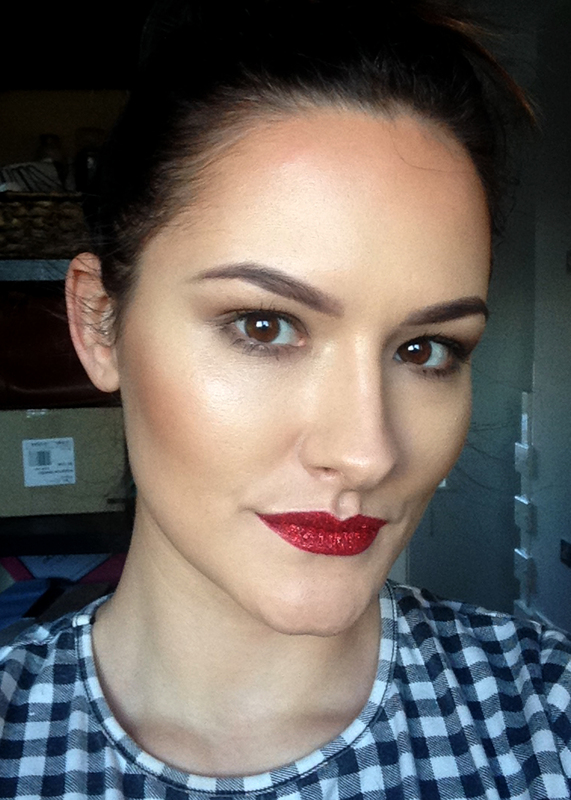 This product sets a statement and is so unique, it sure will make you stand out from the crowd and is perfect for a Christmas and New Year party look! 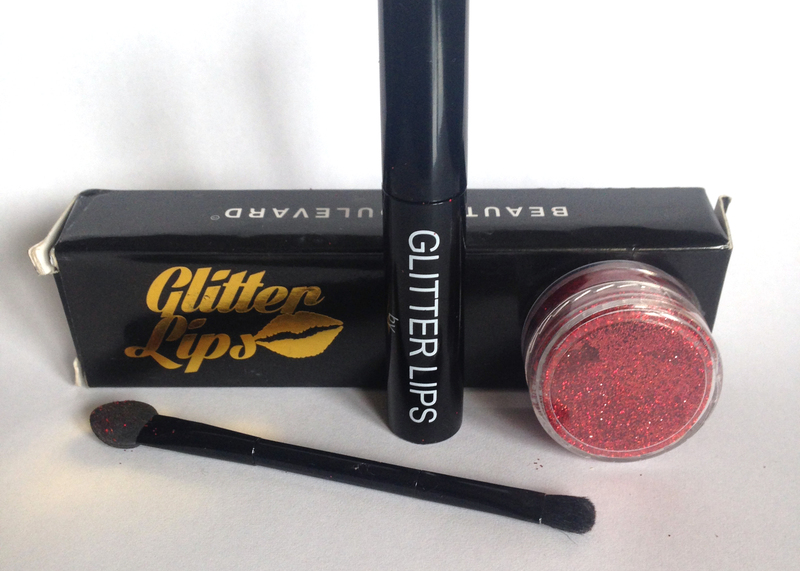 The glitter really sparkles from a distance and the best part is its stays put for up to 8 hours! You can drink and eat and it just doesn’t move. There are 12 colours to choose from, but I have chosen 3 to feature on here. The red is Ruby Slippers, the pink is Cherry Pie and the coral is Coral Reef. I cannot wait to grab the full range and I know this trend is going to take off, so get in there before everyone else does. Comments welcome and please share. 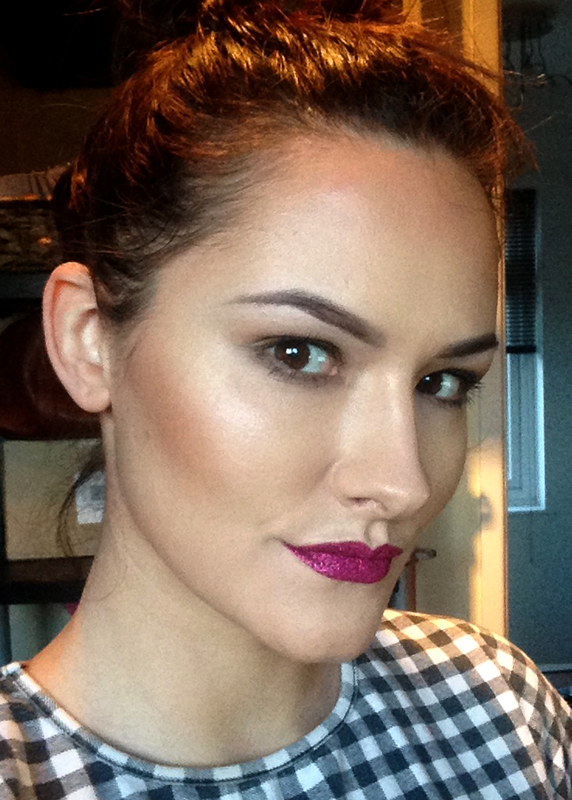 This entry was posted in Beauty Tips, Makeup artist and tagged Makeup products. How to choose the right Makeup Artist for your wedding day?